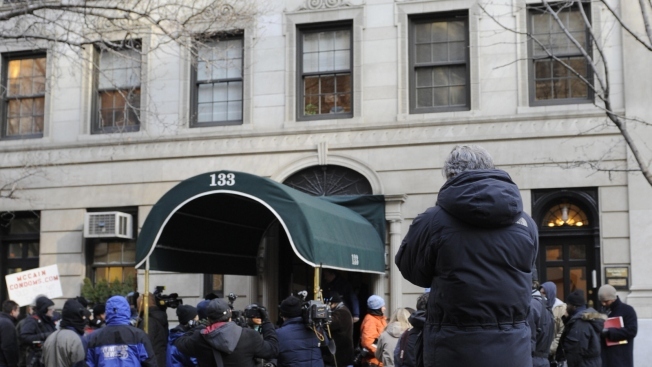 Interest in Madoff's apartment has been unusually high. Bernie Madoff should be careful what he wishes for. One day he whines he isn't allowed to leave his house, the next day it's learned that the place is being sold out from under him. Invitations are going out to real estate brokers asking them to visit Madoff's Park Avenue penthouse with an eye towards selling it. The proceeds from the home would be used to help Madoff's alleged victims recoup their losses. "They'll probably have him in the dining room when we're in the bedrooms and vice versa," one such broker told the New York Post on the condition of anonymity. The sale is being handled by Irving Picard, a court trustee appointed overseeing the liquidation of Madoff's Manhattan investment firm. Even if Madoff's home sold for its oft cited $7 million price tag, that would only cover .014 percent of the $50 billion he's accused of costing investors.